Suppliers and producers that would like to create a seamless integration between their departments. 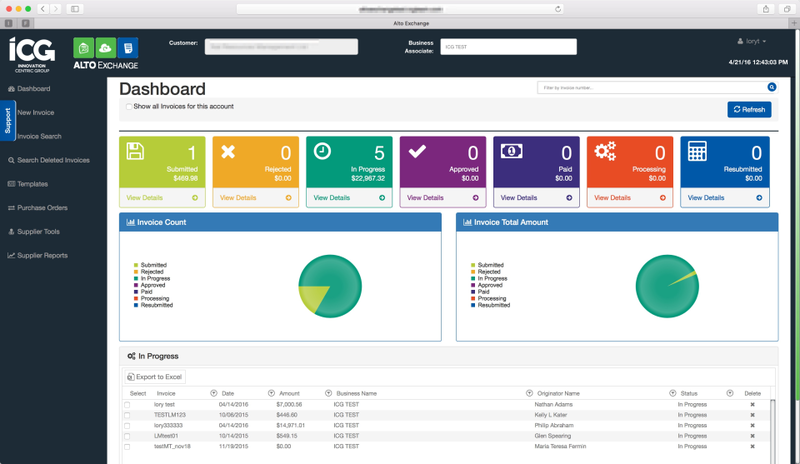 Industry standard business-to-business (B2B) portal that facilitates better communication and integration of ALTO AP with supplier billing systems, further improving the overall payment process. Vendors are able to easily submit accurate invoices and track progress of the producer approval and payment process; speeding up the process and virtually eliminating errors. ALTO Exchange Reviews Recently Reviewed! Pros: As I primarily work in A/R and use many different methods of invoice submission, I can say that this method is by far the most preferred. The customer service is absolutely outstanding and the notifications that get delivered when an invoice is submitted gives great 'ease of mind'. 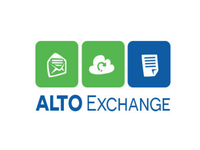 Overall: As mentioned in the "Pros" section, I use ALTO Exchange primarily for invoice submission. It is always a pleasure to talk to the customer service agents and I know they work there best to help others. Assistance from them is always very thorough and comforting. First of all, thank you so much for taking time from your busy agenda to leave us a review. It's great to hear our system is your preferred invoice submission platform and that our team is doing such a great job providing outstanding service experience. We will keep up the good work! Overall I find this software one of the easiest to navigate and use of the many I use daily. Pros: I find this program very easy to use and navigate. I also find the on line chat support very good and if they are unable to assist, they have escalate until resolution. Cons: I don't like that it saves items and any changes individually as it seems to take a lot of time. I would like to see the items added and coded in the same screen. Thank you for taking the time to provide us with your feedback, we really appreciate this. We are thrilled to hear you find our system easy to navigate and that you recognize the value we can provide to suppliers. In regards to the line items/coding suggestion, we want to let you know that we are working on a new version release and will be taking this into consideration. called your customer support. great service. friendly and very helpful. got my answers. Pros: overall it is a good system for submitting inv. It gives me proof that the client is at least in receipt of our invoice. I don't like the fact that I have to reenter everything. Cons: when you bring up a window like the one for "add item" it is too big for my screen. so I have to keep scrolling to save and to see top (to recheck my input). Time consuming when you have a lot "items" to enter. I have tried changing it from my end.- adjusting Zoom etc. but that just makes everything small. can't see it clearly. (don't have the eyes of a twenty year old any more lol) It should also have a window showing when the client is going to pay for the invoice. Overall: knowing that client is in receipt of invoice and that the "paper work" isnt lost. Thank you for taking the time to provide us with your feedback, we are happy to hear you had a great customer support experience. We are also very sorry that you are having issues with the "add item" window and want to let you know that we will take into consideration your observations for future enhancements. Pros: It's free for customers that are having to input invoices. 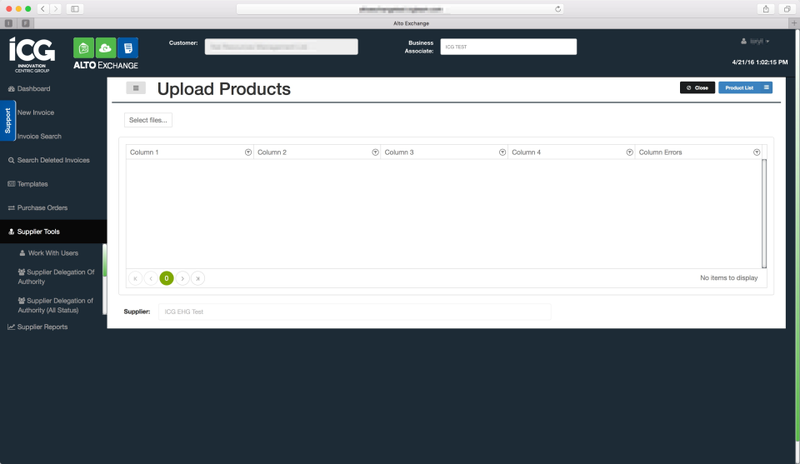 Unlike Cortex which charges customers to input their invoices. Cons: We only get to use it for our NAL invoices. I would like some of our Cortex customers to move to this system as well. Thank you very much for you kind review! We are thrilled that you are happy with our system. Please let us know if we can improve your customer experience. Have a great day. Pros: Easy to use, manage and understand. I liked everything. Cons: The system is good, nothing to dislike.. Thank you so much for taking the time to write us a great review, we really appreciate it. Relatively easy to use once you know all of the functions. Cons: Not sure what all of the functions are until I contact the support line which can be a little time consuming. Thank you for taking to time to provide us with your feedback, it's great to hear you find our application easy to use. You can also find information on how to use our systems by signing up to our knowledge base, were you can find videos, FAQ and step by steps on how to use our system without having to contact our support line. Excellent experience, the helps desk staff are very helpful, knowledgeable and friendly. Pros: It is very straight forward & user friendly. its is also fast and efficient. easier to see the invoices status. Cons: None. I like every thing about this software. it would be nice to see a lot of vendors using this software. Thank you so much for your awesome review and for taking the time to put it in writing. We appreciate your business and value your feedback. Have a great day! using this. Will recommend to other companies. Thank you very much for taking time from your busy day to leave us this awesome review, we really do appreciate it. We are also very glad to hear you are very satisfied with our products and services, this is our main goal. Submit 1 invoice every 6 months therefore do not have a good base to rate this system on. Pros: Support was excellent. Guide was incredibly useful as well for infrequent users like myself. Step by step instruction for invoice entry. Cons: That i have to use this electronic system for 1 invoice every 6 months if payment is to be received. Thank you for taking time from your busy schedule to leave a review for us. We are thrilled that you like our support and we are sorry to hear you do not like entering the invoices. We are working very hard to make the system as user friendly as possible so that no matter the invoice submission frequency, the user is able to submit and see the value of having visibility over their submitted invoices. Please feel to reach our support to see how we can help alleviate the invoice submission process. We are here to help. Thank you for taking to time to provide us with your feedback, it's good to hear you received support via chat to submit your invoice. Overall: Software is relatively easy to use and the customer service team member that I used was extremely helpful and took the time to followup with the issue our company was having. Thank you for taking the time to review our platform. We are really happy to hear you received a great service and that the platform is working for you and your organization. About how to change your password one of our agents will be in touch with you shortly to provide further assistance. No info re-value for money. 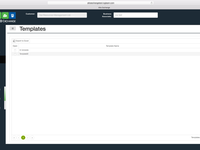 It was very easy to set up and use templates for invoicing. Pros: Fast and easy to work with. With a background in accounting, I found it easy to understand the flow of information. 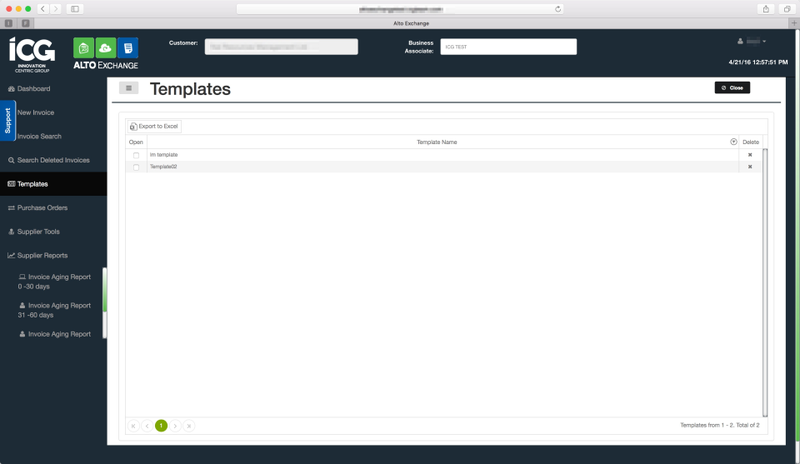 The initial templates allow for easy of entry with subsequent invoices. Cons: The only obstacle noted was the rounding issue, which is common from software to software. 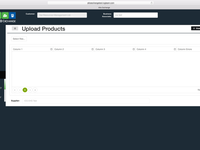 Contributing factors may be , number of decimal places for the entry vs. original invoicing software. The other factor may simply be that one software is set to round down while the other may be set to round up. The tolerance levels are set at a reasonable level; therefore not really a big deal. Overall: Quick submission of invoicing to client, which translates into faster turn around time for payment. Thank you for taking to time to provide us with your feedback, we are very happy to hear you find our system easy to use and see the value of submitting your invoices through our platform. We are working hard on the rounding item to make it as tolerable as possible. Thank you very much for taking the time to provide us with your feedback and we are very sorry to hear you are having a hard time with our platform. Do you have time to discuss with us why you are having issues submitting your invoices? 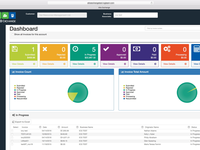 Our system provides several options that allow vendors to input their invoices. If you give us a chance we can help you find the most efficient option for submitting your invoices and this way changing the current impression you have of our systems. 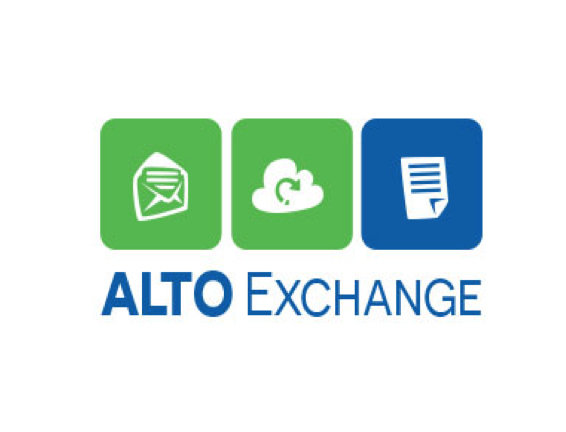 Alto Exchange - Software makes on-line invoicing easy! Thank you so much for your awesome review. Deborah. We are thrilled to hear you are happy with our system! We will continue to meet your expectations by keeping up the good work. Overall: CSR was super helpful and got back to me so quickly with a solution. I really appreciate her friendly and helpful attitude. Thank you. Great to hear you had great service and are finding value in our platform; this is what we work for. Thanks so much for taking the time to leave this awesome review and help others.